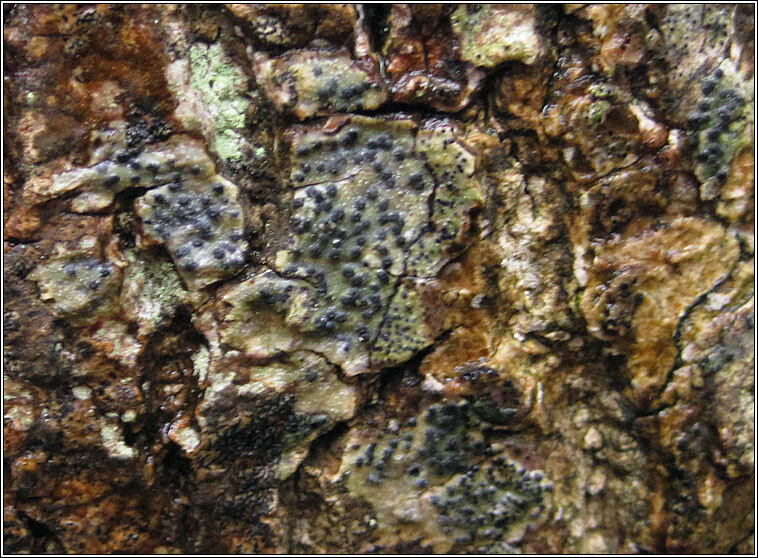 Most frequent Pyrenula species, can be locally common in South and West on shaded, smooth-baked trees. 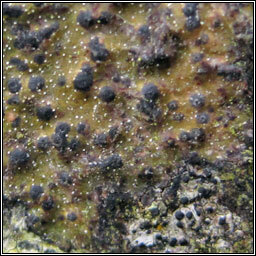 Mosiac-forming olive-brown to creamy yellow thallus with flecks of white pseudocyphellae and black prothallus. 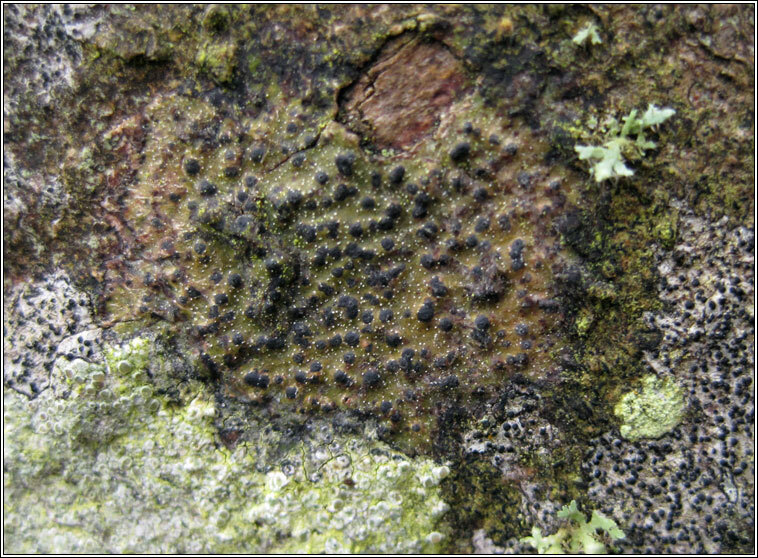 Black perithecia to 1mm, ostiole visible when mature. 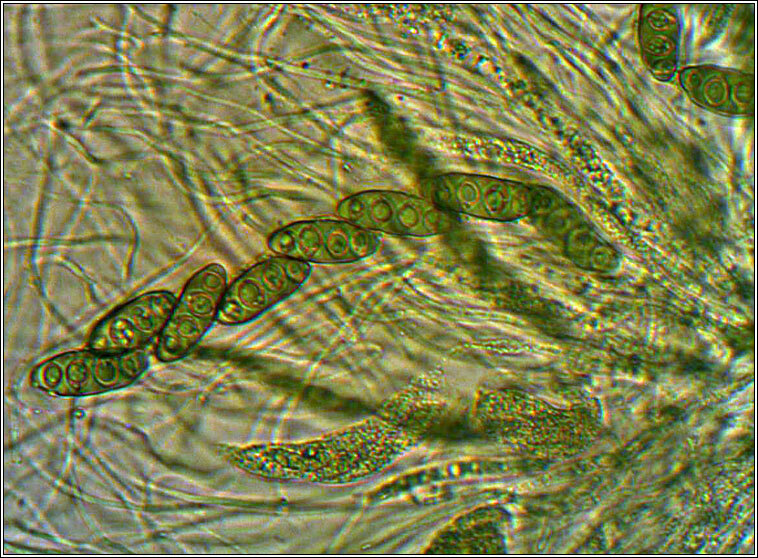 Spores brown, 3-septate, 25-35 x 8-12 µm. Microscope photograph below.